Easy Crops to Grow From Seed A range of crops that we recommend for beginners and that you can plant directly in your garden. A Beginner's Growing Guide Preparing, sowing, and transplanting for beginners. Heirloom Gardening for Biodiversity Three broad strategies for increasing biodiversity with your garden. 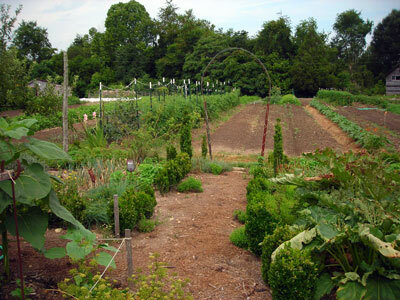 Getting More Hot-Season Veg from your Cool-Climate Garden and getting Southern flavor in the North. What to Grow Through Very Hot Summers Recommended varieties of 11 crops for hot climates. Sowing Summer Crops Straight Into the Garden Methods and advantages of direct sowing. Summer Succession Crops How to have a continuous harvest. Guidelines for Successful Seed Sowing Basic instructions on how to plant seeds. Saving Tomato Seeds: An Illustrated Guide Detailed information that's also relevant to a range of seeds that mature wet. We highly recommend the Seed Saving Guides from the Save our Seed Project. Remember summer planting for fall harvest! Many fall and winter crops need to be started in June and July.